We have an incredible 2019 season awaiting you. Our cycling vacations will take you the length and breadth of the Okanagan Valley. We will immerse you in this very special place - the place we have chosen to call home. We focus exclusively on the Okanagan for our cycling packages, constantly doing our own exploring and discovery so we can curate it into unforgettable experiences for you. No one does a better job of crafting a cycling vacation that shows off our valley in a way that will exceed your every expectation. We have created two exceptional 5 day/4 night itineraries, one in the Spring and one in the Fall. You could say we’ve pulled out all the stops on these weeks. The Summerhill Estate Guest House in Kelowna will be our base. This Casa di Campagna Cycling Retreat will showcase the Central Okanagan in unforgettable fashion. We’ve selected our favourite dining destinations, sprinkled the itinerary generously with “Wow” moments and - of course - included copious amounts of amazing cycling. As Fall creeps into the Okanagan, we move the cycling south to Osoyoos. The spectacular Watermark Resort will be our home for this Explorer Cycling Week. And explore we will, with routes covering the Golden Mile wine region, Green Mountain, the Similkameen and all points in between. This part of our valley is unique in so many ways: a vibrant farm-to-table cuisine movement, a stunning concentration of world class wineries, jaw-droppingly beautiful scenery, a rich indigenous culture and some of the best riding we’ve ever experienced - anywhere. Join us and soak it all in! 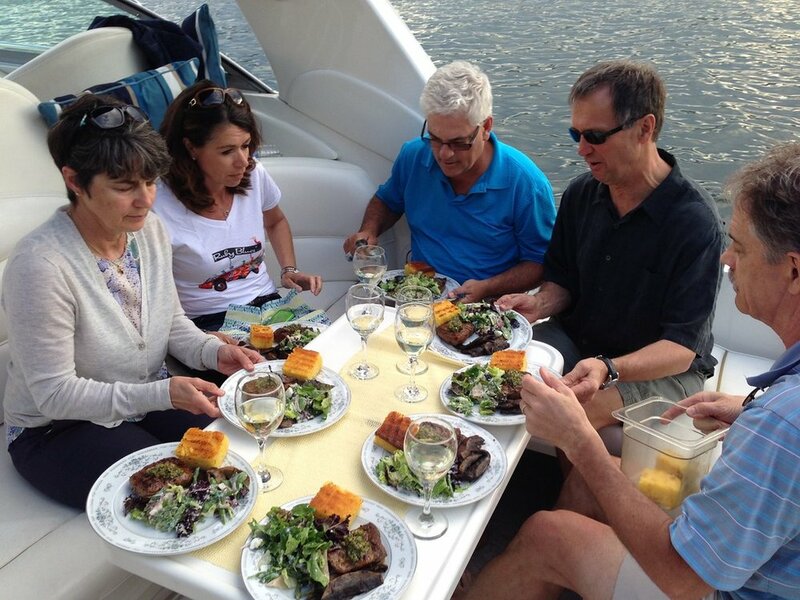 From our Five Explorer Bases (West Kelowna, Naramata, Penticton, Summerland and Osoyoos) we carefully curate your vacation to include as many unique Okanagan experiences as we can. The theme is Exploration and we will be your guides to show you as much of our Valley as possible. A little night life, some outdoor adventure, exclusive Giro destinations, an introduction to our history, a variety of dining experiences and - of course - unforgettable cycling. The pace of a Casa Di Campagna cycling vacation is more about slowing down and smelling the peach blossoms. We move out to the country (Casa di Campagna is Italian for country house) and set up our base in a guesthouse or villa on a working winery (Choose from five unique locations). After a fantastic day of cycling, we focus on the "terroir" of the region, introducing you to the subtle craft of Okanagan wine making and the emerging farm-to-table cuisine of the region.